In November 2014, the Women and Gender Resource Center hosted our first Fair Trade Marketplace, the Bead for Life Marketplace. 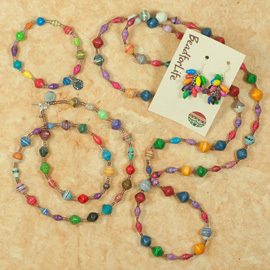 In 2019, the Fair Trade Marketplace featured items from a fair trade vendor from Guatemala. Call our office at 205-348-5040 for more information.